Deadly by Julie Chibbaro. (Grades 7+) Atheneum, February 2011. 295 pages. Reviewed from ARC provided by publisher. Historical fiction set in the early 1900s? Check. Lovely, detailed author's note? Check! WELL. Not only would Mattie and Prudence be friends, I think they would be college roommates and BFFs. They're both facing challenges, like making the rather radical decision to pursue their dreams and go to college. And they compliment each other perfectly: Mattie paints pictures with her words, while Prudence analyzes facts and figures. However, since the Mattie Gokey Scale is probably not a standard measure of awesomeness in YA literature**, I do have a few other things to say. I picked this one up right away (thumbs up on the cover - love the typhoid green) and I didn't really put it down until I was finished. Julie Chibbaro creates a realistically detailed picture of 1906-07 New York and it's obvious she's done her research on setting and subject matter. Speaking of research, she includes a wonderful author's note, clearly laying out what was real and what was fictional, and providing additional information about Mary Mallon and how she researched her. Another thing I loved is that Prudence Galewski is Jewish. Her parents are immigrants and her best friend is a Jewish Russian immigrant. Being Jewish was an issue back then (and Prudence does say that she wouldn't mention being Jewish to her employers), but it's not the focus of this book. Instead, Prudence just happens to be Jewish, as evidenced by many descriptive details included in the book. Huzzah for diversity! While the medical details won't be for everyone, they are not particularly graphic. And ever since Sarah Miller called for characters that are into science/math/anything but literature, I've taken note of books with science lovers. Add this one to the list, Sarah! 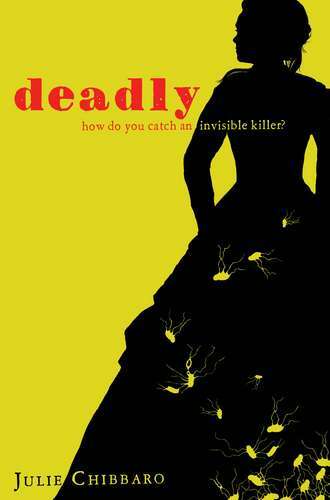 Deadly is Jennifer Donnelly's A Northern Light meets Laurie Halse Anderson's Fever, 1793 and highly recommended for fans of either (or both!). Look for it on shelves February 22! *Okay! That's not really fair!! But it's how I feel.